With InSitu Garden, the Seattle-based landscape architecture practice Land Morphology founded by Richard Hartlage has crafted a private green area centred on the site and its unique features for a naturally sustainable project. Thinking that designing a garden is in itself synonymous of sustainability just because it's “green” is far from the reality. All too often, the wishes of clients still prevail, even when they are not familiar with native plants and how much a landscape design can determine the positive or negative environmental impact of a given project. In this respect, InSitu Garden by the Seattle-based landscape architecture practice Land Morphology founded by Richard Hartlage for a private property in Redding, Connecticut, about 100 km north of New York City, is a virtuous example that integrates landscape structures, rich plantings, and art to create a spiritually and emotionally inspiring garden. A long, complex process: the garden was designed in phases over thirteen years, allowing the team to evaluate the results and sustainability of their choices. 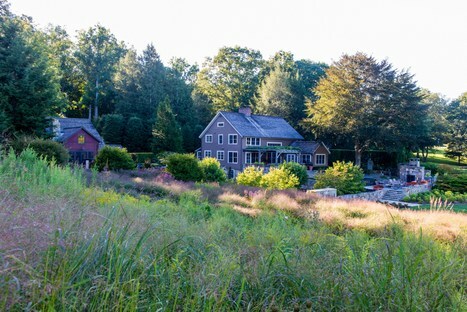 They also continue to review design intent and maintenance to assure an impeccably managed garden that has been called one of the most significant gardens in Connecticut. 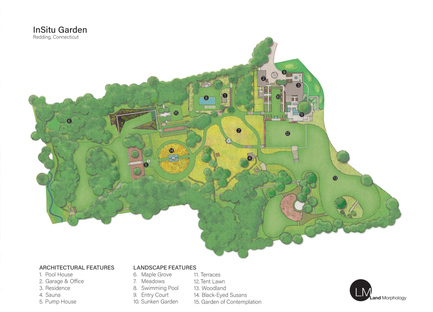 The various structures connoting the InSitu Garden include, in addition to the tree-lined lane that approaching the property, eight water features, an outdoor kitchen, recreational facilities, arbours, walls, portals, terraces, and walks. 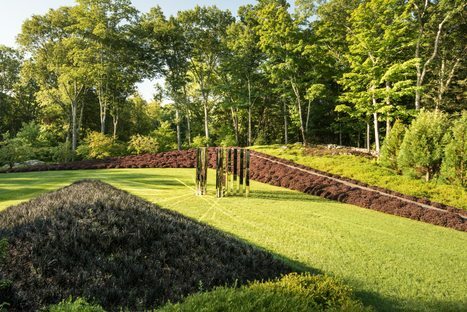 A collection of figurative art is used to great effect in the garden landscape constantly connecting with the nearby woodlands and the distant hills. All the walls were built using stones from the site. Locally cut and milled white oak was used for each of the arbours. Bluestone was sourced from a quarry within 120 km from the site. Local craftspeople were used for construction, including the expansive patios and summer kitchen, underscoring the sustainable development strategies. 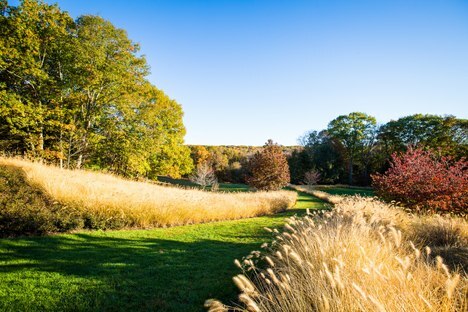 An emphasis on native plants - composing more than 75% of the garden plantings - provides environmental resiliency and allows the garden to fit beautifully into the Connecticut countryside. Without forgoing its own identity, the result of careful landscape design, InSitu Garden by Land Morphology really becomes part of the local natural surroundings and invites contemplation of that. The landscaping manifesto of the expression, “Good things take time”.